RUSS holds regular meetings, which offer anyone interested in Community Led Housing a chance to meet and share ideas. Each meeting focuses on a particular topic or area of interest, and encourages attendees to contribute their own experiences. Members and prospective members of RUSS are encouraged to come and lean more about what we’re up to, and how to get involved. Please do join us from 19:00-20:30 on the third Wednesday of every month. With the good weather prompting an early start to the growing season we thought we’d take a break from community housing this month and take a look at community gardening. Joining us will be Malcolm Cadman from the John Evelyn Garden at the Pepy’s Estate in Deptford (see header image), Maria Devereaux from Wild Cat Wilderness, a community green space in Catford, plus a representative of Lewisham Gardens, who promote community gardening and conservation activities in the Borough. We’ll be asking what makes these projects tick and looking for inspiration for RUSS’s garden at Church Grove, and projects you’re involved with or inspired to start. Our meetings are open to anyone interested in Community Led approaches to housing and gardening! RUSS members will be on hand to share information about how to get involved with anyone interested in joining. RUSS member Ted Stevens spent two years travelling Europe, visiting scores of innovative community-led housing schemes. Ted is one of the UK’s leading community-led housing and self-build campaigners. In 2008 he set up the National Custom and Self Build Association, and he chaired it until 2014. He then managed a research programme looking at how Britain could learn from the many innovative community-led housing projects that have been built across Europe. As a Trustee he co-ordinates RUSS’s various fundraising and media activities. RUSS Community Housing Meeting: Walters Way, the inspiration behind RUSS. How do you experience the Housing Crisis? 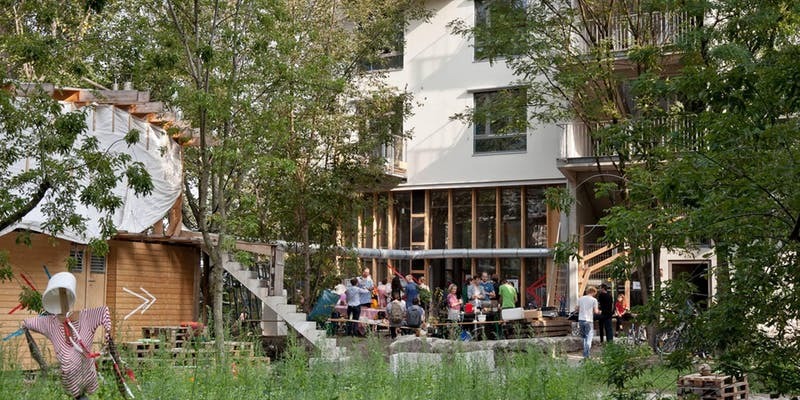 Rural Urban Synthesis Society (RUSS) is a members-led Community Land Trust based in South London, founded in 2009 with the aim of creating sustainable community-led neighbourhoods and truly affordable homes right across London. We hold regular meetings, which offer anyone interested in Community Housing a chance to meet and share ideas. Each meeting focuses on a particular topic or area of interest, and encourages attendees to contribute their own experiences. Members and prospective members of RUSS are encouraged to come and lean more about what we’re up to, and how to get involved.